Mobile apps aren’t a new thing but the latest research estimates that people spend 30 hours a month playing with apps now. That makes for a substantial opportunity for UX designers but once the product’s finished; how do you market it? Getting the marketing right is the key to market acceptance of your well-designed products. Research from Nielsen, one of the world’s most powerful market research agencies, shows that in 2014 people spent an average of 30 hours a month using mobile apps. Users also use up to 30 different apps each month. That’s quite an opportunity for app developers. But how do you get a new app noticed? With more than 700 apps a day going live on the Apple Store alone; it’s a tough, competitive environment to be found on the app stores. Social media promotions such as Twitter, LinkedIn, Facebook, etc. Paid advertising online, in print, etc. What are the strengths of your app? What makes it unique when compared to your competitors? Who are your audience? Why will they care about those strengths and the app’s uniqueness? You need to talk to the users in their language and create an emotional need for them to download your app. You may need to work with a copywriter to get this right. There’s no point in getting noticed if you can’t persuade people to download your app and install it. >Author/Copyright holder: Todd Lopez. Copyright terms and licence: Public Domain. Social proof only works if it’s real. Find 100 people who could be influential users of your app and get them on board early. Let them test the app. Take their feedback on during design iterations. When you’re near launch – ask them if they wouldn’t mind promoting their experiences to their social networks. Don’t forget to compensate the trial users for their time in testing but don’t under any circumstances pay them to push your product unless they declare a commercial interest – dishonesty does not make for great user experiences. If movie studios can use teaser campaigns to sell us tickets for movies before they’ve been released – developers can use teasers to promote apps. Video campaigns on YouTube (and then reflected in your website, blog and social media) can be a cost-effective way to build up excitement for the product before it has even been released. Google’s research shows that while 40% of app discoveries do take place in their stores; 60% don’t. Those people are finding their apps through search, through YouTube placements, through recommendations from other websites, etc. In fact Google’s research shows that 25% of app discovery occurs via search engines. They also showed a healthy rate of return for paid search engine adverts for apps. Nearly half of app adverts that resulted in a download came from paid search. Google offers a tutorial on the most effective type of adverts to use in Search – the mobile app install campaign. A zombie app is one which is downloaded but never actually used. Statistics suggest that 1 in 4 app downloads are zombie apps. You need to work out how to engage users to actually get started with your app and that means a compelling long-term value proposition. Then there’s the other issue. 90% of apps will be abandoned by their users within 6 months of being installed. Having a consistent and recurring need for the app. You must do your market research and find out why users will need your app, how and where and when they will use it. If that research shows your app is good for one-time-only – you may be barking up the wrong tree with your design strategy. Remind users of the need to connect. Offer discounts or additional benefits that come directly via the mobile app and make these a regular occurrence. If people don’t connect; your app has failed. Which may be the best contribution a physicist has ever made to a rock record (Pink Floyd and Steven Hawking if you must know) but it’s a great lesson for marketing; keep on talking. You need to create dialogue with your users. You need to keep information flowing not just from you to them but also from them to you. How you handle their complaints, issues, suggestions, etc. will determine the long-term success of your app. You, as a business, don’t exist in a vacuum. You exist for your users. If that sounds suspiciously like a part of the UX design process; that’s because it is. UX design and marketing are much closer to each other than you might see at first glance. Marketing for apps is all about being found and persuading users to install and then use your app. That means you need a plan, you need to focus on communicating with your users in the long-term. There’s no single channel strategy for marketing an app. 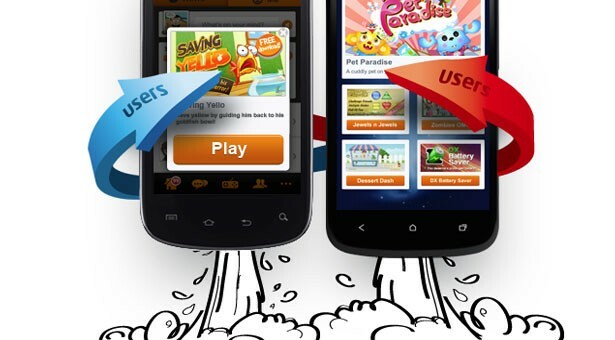 In reality, it’s similar to marketing other products but with the addition of app store optimization.